Why is safari expensive In Tanzania and is it worth it? Tanzania’s reserves are famous for its abundant wildlife so if you have always wanted to witness Mother Nature in her best form, you’d better pack your bags and head off to Africa. 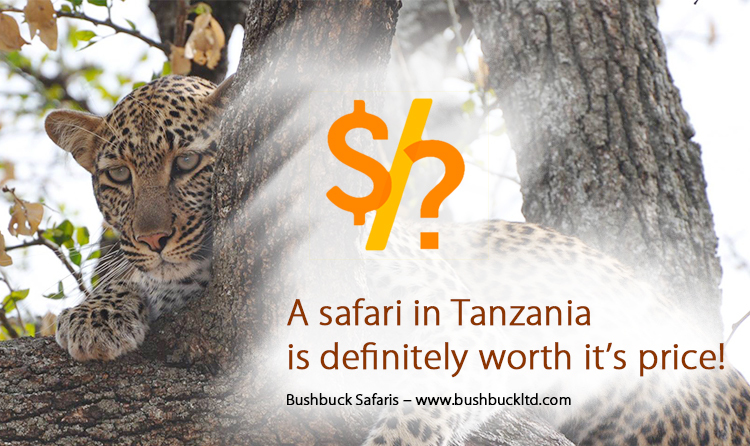 However, Safaris in Tanzania can appear to be quite expensive. This might put off many tourists to opt for a more inexpensive trip elsewhere but bear in mind the experience is definitely worth the price. If you are wondering why safaris are so expensive, the answer to your question is that compared to other touristy places like Europe, US, and Far East, Tanzania lacks infrastructure such as highways, railway lines, and airports. Tanzania alone has 16 national parks. Some of the most famous include Serengeti, Tarangire, and Ngorongoro that provide tourists the opportunity to witness thousands of animals, birds and insects which cannot be found anywhere else in the world. Tanzania boasts almost 20% of Africa’s large mammal population so this is your chance to witness the mighty elephants and lions right in front of your eyes. The plains of the Serengeti are crowded with hundreds of zebras, giraffes and wildebeests and thousands of other animals. A safari in Tanzania offers an unparalleled wildlife viewing experience. If you are lucky enough, you will get the opportunity to observe The Great Migration, which is a massive herd movement of all kinds of wild animals, certainly one of the most important gems of Tanzania. You are unlikely to witness Mother Nature in its best form anywhere else other than Tanzania. Tanzania is a mountainous country located in the east coast of Africa which is home to the mighty Mount Kilimanjaro. In addition, Tanzania also includes three of Africa’s greatest lakes including Lake Tanganyika which is known for its unique species of fishes. Tanzania not only allows you to explore the wildlife to your heart’s content because also provides you the opportunity to explore the beautiful landscapes. With its rich natural beauty, a safari in Tanzania provides the perfect combination of beauty and land for any travel enthusiast. On your trip, you will be provided the opportunity to interact with the local culture. Tanzania is home to over 120 ethnic groups. Some of the well-known tribes include the Maasai, Chagga and Hadzabe tribes. A fascinating part of your safari vacation to Tanzania is the opportunity to engage in a cultural experience with these people, having a chance to be a part of local celebrations and festivals and learn more about the sacred culture of ancient African tribes. So, worry not. A safari in Tanzania is definitely worth the expense if you are tired of petting animals at the zoo.